St Margarets has three teams of musicians and worship leaders. 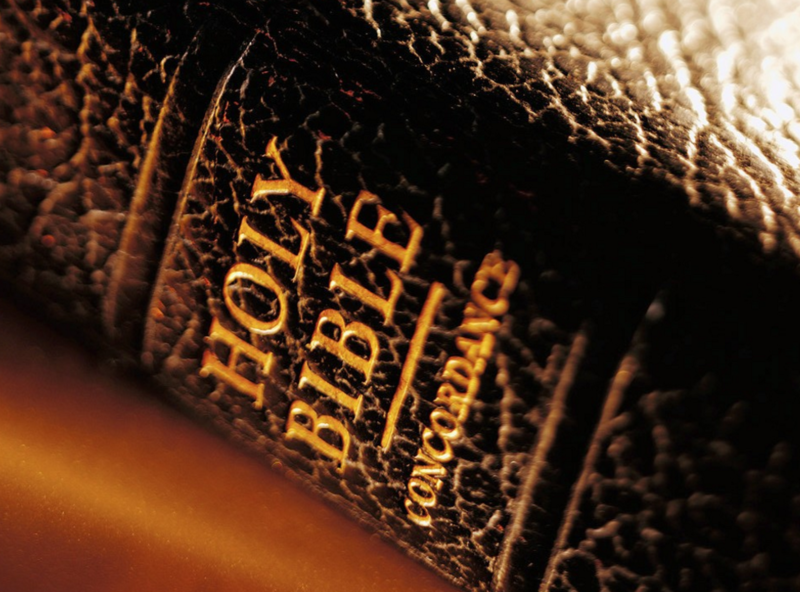 “Sing to the God of Israel. Sing! In our worship to God at St Margaret’s we use voices and many different instruments played by people of all ages. The musical gifts that God has given the musicians are used to lead the congregation in worship. The singers lead the congregation in worship. Christine leads the music group. She sings as she plays piano or keyboard. Katrina is one of the team of worship leaders. 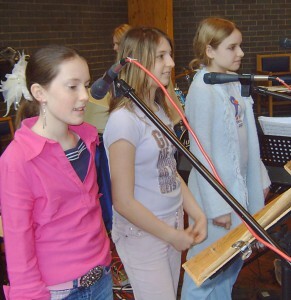 They use their singing gifts to lead worship. 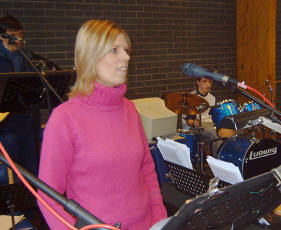 The music and voices can be heard in all parts of the church with the aid of microphones, mixing desk and loudspeakers. The teenagers at St Margaret’s have recently started their own worship group and area able to lead the Church in worship. Christine often lead the music group from the piano. Other keyboards can lead or provide accompaniment. 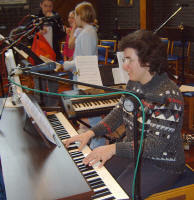 Sue leading the music group from the electric piano. St Margaret’s also has an electric keyboard with ‘Midi’ interface to provide a wide range of voices including a traditional church organ sound. The keyboard can play ‘Midi’ files of music from a computer disc. This enables services to take place when the musicians are not available. Rhythm is important in modern worship. Tim takes his turn on the drums. Several Church members bring their own instruments and play them with the rhythm of the music. The tambourine is one of the most popular and it is easy to play and to carry. 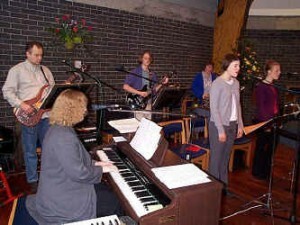 Several Church members play in the vaious worship groups. 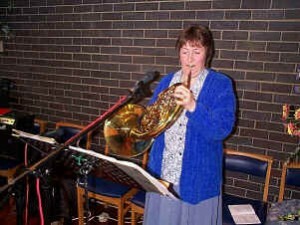 Bev plays the horn and the clarinet. Bradley plays the saxophone with the teenagers worship band. Chris often plays bass guitar. It adds depth and rhythm to the music. Sometimes he leads the worship with an electric guitar connected through various sound effect pedals. 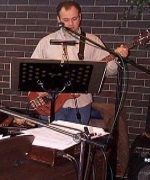 Keith also plays bass guitar in the other worship group and is a backing singer. 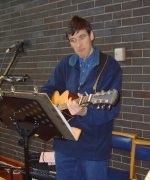 The acoustic guitar is often used to accompany the worship at St Margaret’s. 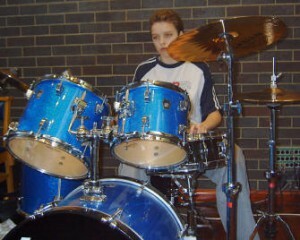 Andrew is one of a rota of people playing in the worship group. 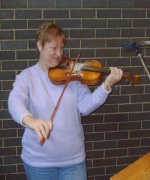 Christine sometimes plays the violin to accompany the worship.